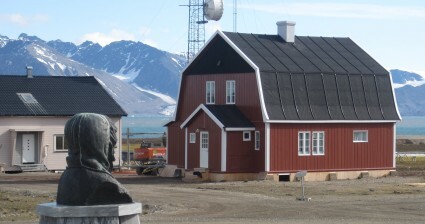 The Amundsen villa is fully restored in its old glory and is now the official meeting place for important visitors to Kings Bay and the village. During restoration some details were renwed, but also some were left in their original state to see the effect of time on the historical features. One of the murals still has holes of the nails, others are a mosaic of new and old wood. The special furniture makes the impression complete. Very special.